Readers of detective stories are turning more toward historical crime fiction to learn both what everyday life was like in past societies and how society coped with those who broke the laws and restrictions of the times. 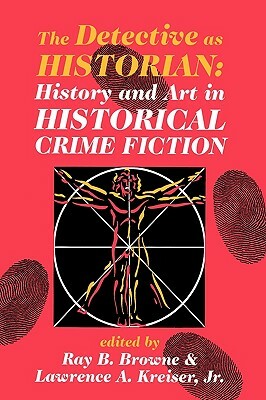 The crime fiction treated here ranges from ancient Egypt through classical Greece and Rome; from medieval and renaissance China and Europe through nineteenth-century England and America. Topics include: Ellis Peter's "Brother Cadfael"; Umberto Eco's "Name of the Rose"; Susanna Gregory's "Doctor Matthew Bartholomew"; Peter Heck's Mark Twain as detective; Anne Perry and her Victorian-era world; Caleb Carr's works; and Elizabeth Peter's Egyptologist-adventurer tales.